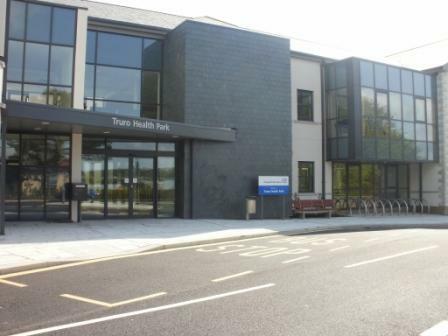 The flagship new Truro Health Park opened its doors to the public today. Located on the site of the former City Hospital on Infirmary Hill it will house 300 staff and treat 4,000 patients per week. The first services available in the new health centre are those which were previously being delivered from The Leats, including podiatry, dentistry, speech and language therapy, and eating disorders. Health visitors will also be providing clinics from 7th June. Over the coming weeks these services will be joined by others including Truro’s two GP practices. The facility provides purpose-built, state-of-the art facilities, bringing a range of health and community services under one roof, many of them re-locating from cramped, out-dated and inappropriate accommodation. Antek Lejk, director of partnership commissioning for NHS Cornwall and Isles of Scilly, said: “This £20m health park is part of our commitment to ensuring top quality primary care facilities for people in Cornwall and the Isles of Scilly. It is a symbol of the modern NHS. It has been designed with input from local people with a view to creating a facility that the whole community can use and appreciate.